We all have heard this before. Keeping with tradition is a great way to honour the past and include your loved ones in the wedding with special trinkets and gifts. However, for your something blue if you’re thinking it doesn’t really tie in with your theme or you just want to have fun with it… no problem! We’ve got you covered. If you’re short on ideas, take a look at some of ours! Whether you're wearing a tea length gown or a ball gown... your shoes are bound to get noticed. Having blue heels is always a great way to incorporate blue and have stylish shoes you can wear more than once! The same goes for jewelry... You can wear it even after your wedding day. Having a necklace, earrings, bracelet or even a blue ring - it's all up to you and how you want to look on your wedding day! It doesn't have to be a blue bouquet necessarily. A ribbon is also a great way to tie in the something blue, literally. 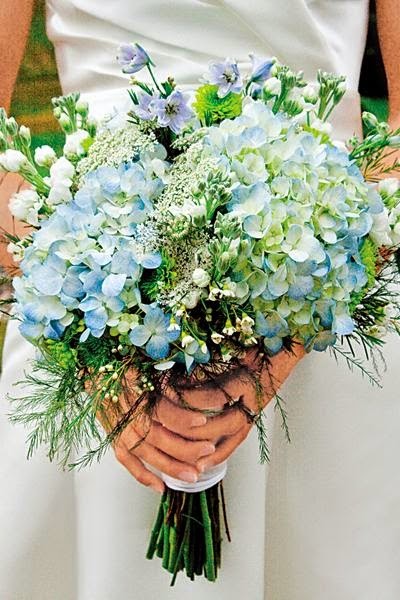 Having blue ribbon holding together your bouquet is cute and shows you paid attention to the details. Having your flower girl wear blue is a great solution since she doesn't necessarily have to match the theme of everyone else, as she skips down the aisle on her own. 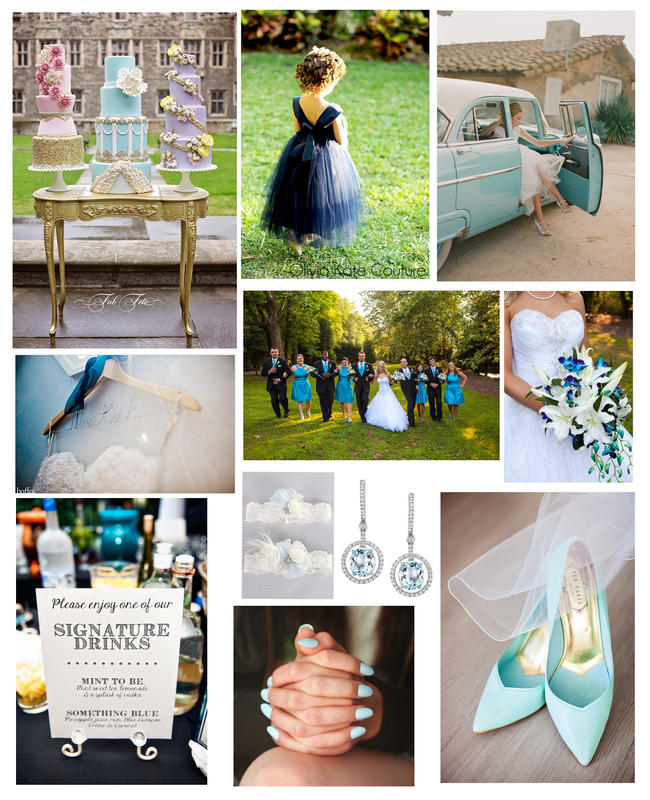 Your bridesmaids don't have to wear blue gowns necessarily, they can all have blue accessories or bouquets. There's many ways to have them have something blue too. If you want to stand out and make a statement, wearing blue yourself is always a fun and stylish way to include blue. Hold on! Forgot your something blue? This is a great idea if you need something blue last minute. Simple and stylish! If you don't want blue to show at all at your wedding, don't worry... you can always hide it under your gown. Who says your lingerie or garter has to be white? That's what the dress is for, right? Since the wedding cake is something displayed on its own at the wedding, it can easily have blue details or be entirely blue if you want. Why not? Everyone's eating it anyways. Blue nails are in now, so keeping up with trends has never been more fun! Something Blue cocktails are great for cocktail hour and adding a personal touch. Have some fun with it and your guests will have fun too! Arriving in style is always a winner! Vintage blue cars compliment the bride as she steps out with her show stopping gown! The ladies at Fab Fête Event Planning Boutique are here to help! contact us at (416) 565-7421 or e-mail us at info@fabfete.ca! Be sure to follow us on Twitter and Instagram for more ideas!